Must have been catching. 🙂 Hope today goes better for all. I’t this danged Winter weathah. Ayuh. Yumm…pass the honey and cinnamon!! …. I swear that this mild weather is ruining winter this year. Not that I’m complaining. 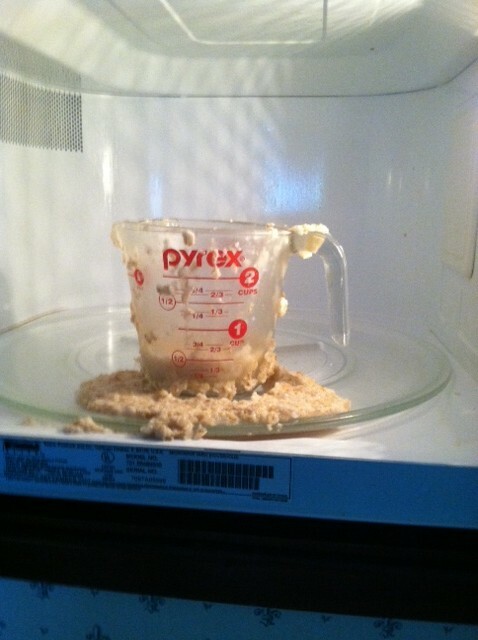 I have done worse with the microwave, that’s for sure Michael!